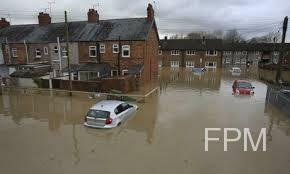 Record breaking rain has led to some of the worst floods in UK, sadly leaving many homeless and vulnerable. The weather forecast for the coming days show that it may get worse. The Muslim Council of Britain appeals to all its affiliates including mosques and community organisations, and particularly our large charities, to do whatever they can in this hour of need. Farooq Murad, secretary general of the Council said, “our affiliated charities are some of the best in dealing with emergency and relief work with extensive experience. We understand some are already taking the initiative and we commend them for that.” He added, “we must stand in solidarity and support those who are busy in preventing further damage including the national agencies, volunteers and those who are trying to put their lives together again.